El Chapo has a net worth of $14 billion. That should prove to any doubters out there just how serious America’s drug problem is and how porous our border. Sen. Ted Cruz (R – Tex.) wants to pay for Trump’s promised border wall with money seized from drug lords, like Mexico’s notorious El Chapo. In fact, the clever word games congressmen often play with bill titles has the bill being named directly after the escaping kingpin. 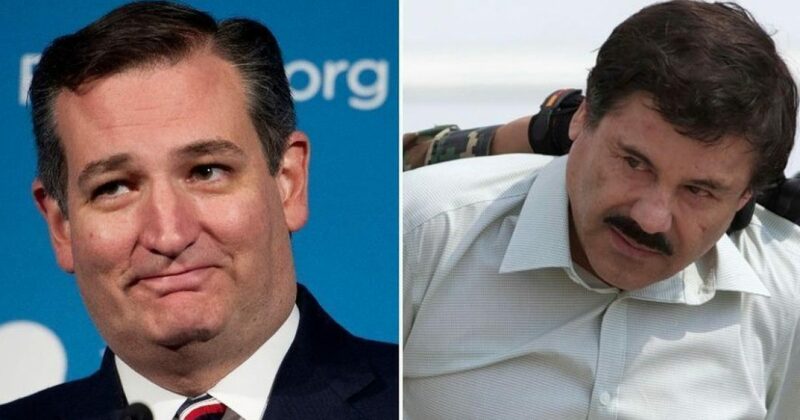 Cruz’s proposed $14 billion in funding is titled, “Ensuring Lawful Collection of Hidden Assets to Provide Order” or EL CHAPO. U.S. prosecutors are currently seeking drug profits that belong to El Chapo as well as other assets to the tune of $14 billion. “Fourteen billion dollars will go a long way toward building a wall that will keep Americans safe and hinder the illegal flow of drugs, weapons, and individuals across our southern border,” Cruz said. Congressional Democrats and some Republicans have said that any C.R. that includes funding for the wall is a non-starter and they will vote against it if it’s included.